Parkridge Medical Center is seen on Wednesday, Mar. 11, 2015, in Chattanooga, Tenn. 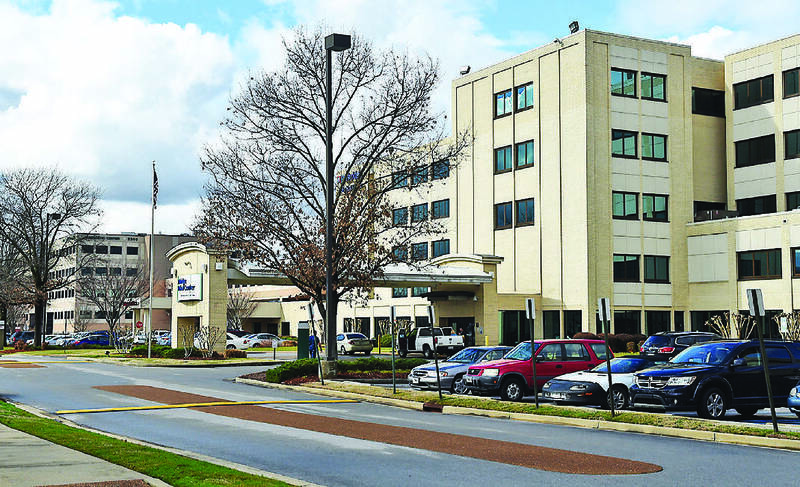 The hospital has plans for a $62 million expansion. A new mandate that requires hospitals to list their prices online was supposed to clear up some of the confusion involved in picking where to have a procedure. Unfortunately, those lists, called chargemasters, do little to help patients determine how much they'll actually pay, hospital officials say. "We agree wholeheartedly that there should be a way for consumers to know what it's going to cost them to go to a hospital or doctor, but that mandated list doesn't really help achieve that intended goal," said Steve Johnson, vice president of government and payer relations for Erlanger Health System. That's because, Johnson said, each person will owe something different based on how their health insurance plan is designed and the contract the hospital has negotiated with the insurer. "Trying to draw a conclusion based on charges is misleading, because it's actually based on the negotiated rates," Johnson said. "We can provide a quote based on the info available to us — the contracts — but we don't have all the info the insurance companies have." Michael Sutton, chief financial officer at CHI Memorial, said another issue is that myriad different, unpredictable variables can happen during a hospital stay, which is why Memorial requires patients to click through a disclaimer that says the prices are only estimates before viewing the list. "If you come for a procedure that's an invasive procedure, you could have other things that weren't thought about for that surgery," Sutton said. "It's all dependent on the procedure, it's dependent on the time in the OR, the supply used in the procedure, etcetera." Additional factors, like whether or not a person has hit their deductible for the year, impact what a patient will pay out of pocket, he said. "Each patient or loved one's family member is concerned with how much is this going to cost me and how much is it out of pocket," Sutton said. "But it does confuse the matter to what a patient pays out of pocket versus what a charge is on the bill, and that goes back years ago of how [chargemasters] were started within hospitals and insurance payers." Michael Ferguson, a spokesman for Parkridge Medical Center, said the hospital has been focused on pricing transparency and providing pricing estimates and information about the billing process online since 2007. However, he ecohed others' sentiments that the amount patients actually pay for hospital services has more to do with the type of insurance coverage they have than amounts on the chargemaster. "Government programs like Medicare and Medicaid determine how much they reimburse hospitals, and insurance plans negotiate rates," Ferguson said in an email. "Uninsured patients are eligible for free care through our charity care program or they receive our uninsured discounts, which are similar to the discounts a private insurance plan gets." Sutton said "the only silver lining" of the lists are that it's a "first step" toward greater transparency in health care. Meanwhile, Johnson said that insurance companies improving their online pricing tools could be more helpful than the hospital price lists. And everyone agreed that no one should forgo needed medical treatment over fears about what it might cost, because financial assistance and counseling are available.